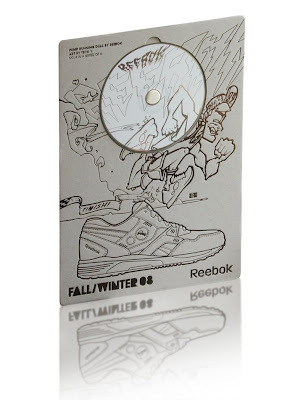 No4 in a series of 6 ltd edition product DVD's showcasing Reeboks latest collection. Other artists to collaborate include Jimi Crayon, Stika, Odisie, Mr K, Alfa. Embossed silver print on cardboard. This is one serious dvd case.